The mobile community health vehicle. 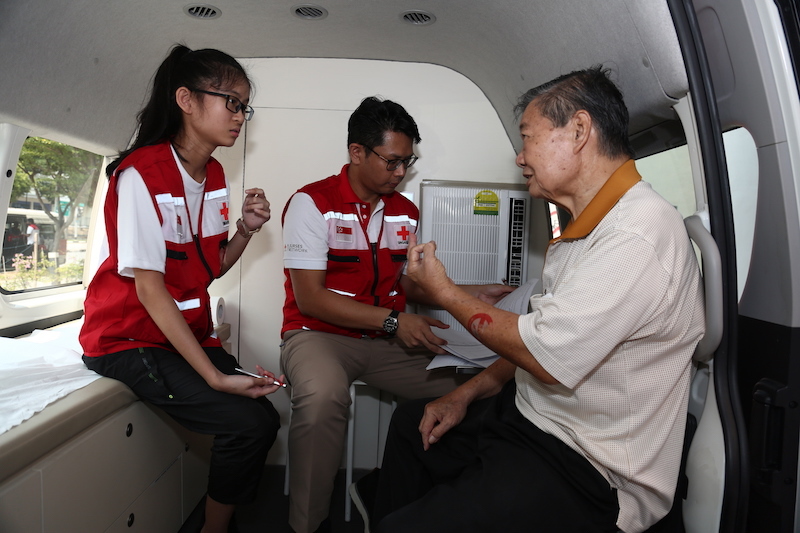 Singapore Red Cross’ (SRC) Community Health on Wheels (CHoW) is a community-based mobile healthcare programme that brings free ancillary services and basic medical care directly to seniors in the heartlands. The programme was launched by guest-of-honour, Masagos Zulkifli, Minister for the Environment and Water Resources and Member of Parliament for Tampines GRC, and the vehicle was sponsored by SMRT Corp’s Gift of Mobility Fund. 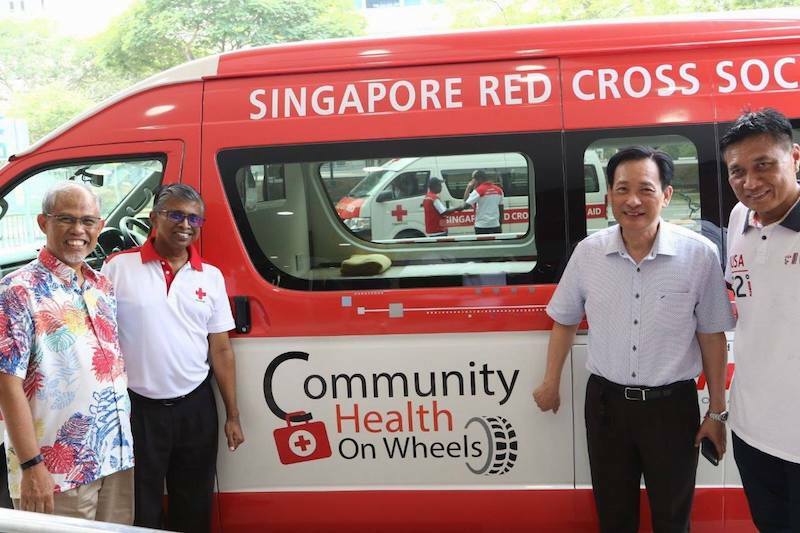 CHoW will rove different parts of Singapore on designated weekends to provide health checks, physiotherapy services, psychosocial support and health counselling. These services complement the nation’s healthcare network, and ensure better continuity of care for patients and allow the seniors to age-in-place. CHoW will provide health checks, physiotherapy services, psychosocial support and health counselling. This is in line with the Ministry of Health’s Healthcare 2020 masterplan, which called for a transformation of the healthcare model – moving beyond hospitals to the community – in order for Singapore to meet her long-term healthcare needs in a sustainable manner. 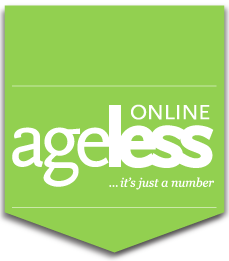 Today, more than 47,000 seniors aged 65 and above in Singapore live alone, and Government projections indicate that this number is expected to reach 83,000 in 2030. A volunteer-driven initiative, CHoW is supported by some 60 healthcare professionals from the nursing, allied health, social work and psychosocial sectors, all of whom belong to SRC’s professional volunteer networks –respectively the Nurses Network, Social Work Network and Allied Health Network. Since June, SRC has successfully introduced CHoW to several heartlands via partnerships with Residents’ Committees, Community Clubs and other ground partner organisations. To date, close to 200 residents have benefitted from CHoW and the programme would be rolled out islandwide over the next few months and reach more seniors across Singapore.